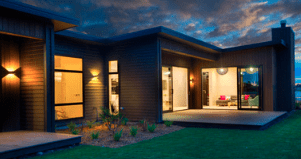 Bringing Scandinavian design to Kiwi homes. Mogens (Monni) Fraemohs, the founder of Fraemohs Homes, was born in Denmark in 1920. A graduate in civil and mechanical engineering from Copenhagen University, Monni was restless to leave post-war Europe. So in 1948 Monni and his wife Karen emigrated to New Zealand to start a new life. Monni Fraemohs was a man with a vision and a can-do attitude. His generous nature is legendary, giving his staff significant Christmas bonuses, regularly hosting Christmas parties for them at his own home and even building a holiday home in Hanmer for his staff to use. His management style was ahead of his time in many ways. Among other things Monni provided full medical cover for his workers and was noted for his positive, humanistic approach to employment. Monni’s generosity earned him the loyalty of his staff, with many choosing to work for the company quite literally for decades. Monni had a great rapport with the Council and people in general. His personability and passion for the community to which he belonged earned him a huge amount of respect from all he dealt with. His interpersonal skills were a factor in his reputation a man who could make things happen. 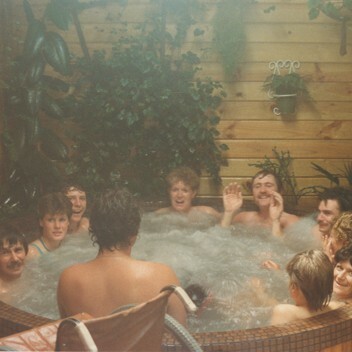 Pictured above left: Fraemohs staff in the 80s enjoying a team spa at the Hanmer holiday home Monni built for his team to use. In 1968 Monni had the idea of making small timber huts that people could use to build a holiday house in their holidays. 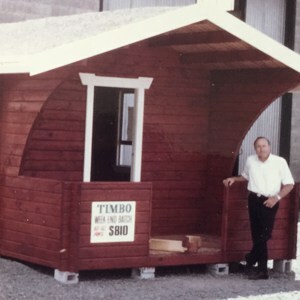 Timber kitset homes were commonly used in Monni’s home country of Denmark, as well as parts of Europe and in Canada, but it was still a new concept for New Zealand. Once again, Monni was forward-thinking in his goal of adding value to New Zealand pine. Rather than exporting unprocessed timber to other countries for them to add value to, Monni wanted to contribute to the local economy by turning the raw timber into a higher value product. Monni launched his product at the Canterbury A & P Show. One of Monni’s first major contracts was to supply accommodation for workers for a mine in New Caledonia, with the assistance of a Government grant. 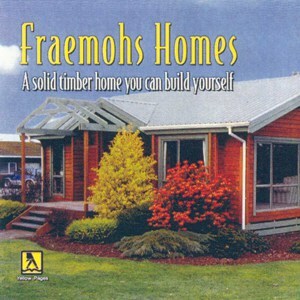 Following this, Monni and Karen built the Fraemohs Homes factory on its current site in Main North Road. Before long, demand for Monni’s kitsets had grown to the point that the company had orders booked for months in advance. Monni could talk and talk with passion about the product because he loved it, and his customers did too. Sadly Monni passed away in January 2017 at the grand age of 97. 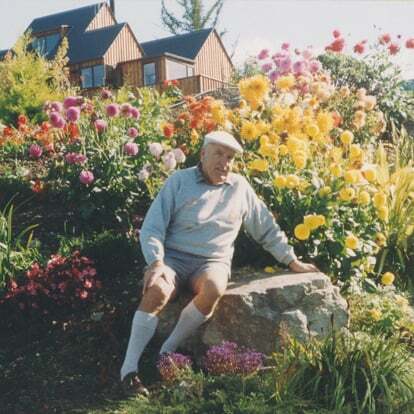 Monni’s legacy lives on in the company he founded and the many houses, holiday homes, motels, hotels, community halls and chalets built by Fraemohs Homes here in New Zealand and across the Pacific. Pictured above top right: one of the earliest prototypes Monni launched to the Christchurch public back in 1968, under the brand name ‘Timbo’. Monni would soon be convinced by family members to change the name of his unique product to ‘Fraemohs Homes’. Beneath that, a classic 1970s Fraemohs Homes advertisement. We would like to acknowledge and thank the Fraemohs family who have very generously given us their time, knowledge and access to their personal photos for the production of this information on Monni and the company’s early history.